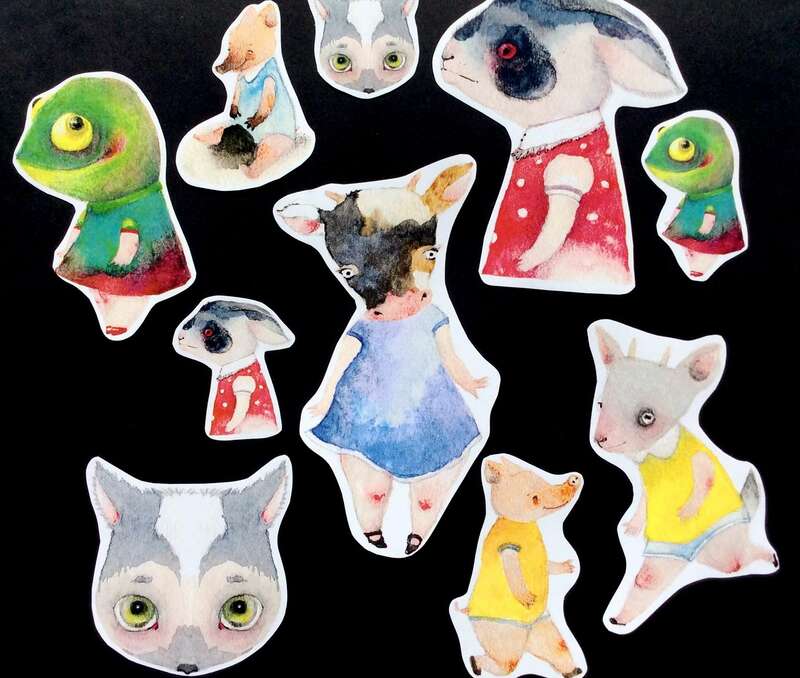 A set of paper stickers, handmade. Figures Dollechka. 10 pieces.